The EU drugs strategy (2013–20) and the EU action plan (2013–16) were endorsed by the Justice and Home Affairs Council of the European Union respectively on 7 December 2012 and on 6 June 2013. The main features of the current strategy and its first action plan, and how they aim to address Europe’s changing drugs problem, are presented in this analysis. EU drugs strategies and action plans direct collective action in the field of drugs both within the European Union and at international level. They do not impose legal obligations on EU Member States but promote a shared model with defined priorities, objectives, actions and metrics for measuring performance. Member States, and also some candidate and pre-accession countries, use this framework to develop their own national policy documents, which are increasingly synchronised with the EU strategy. They remain free to emphasise different national priorities within the overall framework of an integrated, balanced and evidence-based approach to the drugs problem. Internationally, the EU drug strategies aim to add value to Member States’ policies by offering a platform for coordination in relation to international issues and promoting the EU approach to tackling the drugs problem. The strategies also play an important role in the definition of tasks for EU institutions, bodies and agencies, and are taken into consideration by the European Commission when setting funding priorities in the drugs field. A final external evaluation of the previous EU drug strategy (2005–12) found that it provided a forum for consensus building and decision-making and a platform for information sharing and mutual learning. It also enhanced the ‘voice’ of the EU in international fora and promoted a culture of harmonised data collection and best practices identification. The review recommended, among others, to further promote the development and use of evidence for drug policy, as there remain instances of insufficient evidence about the effectiveness of specific measures. The EU drugs strategy (2013–20) constitutes the ninth strategic document on illicit drugs endorsed by EU Member States since 1990 and presents their current drug policy position and aspirations, identifying common objectives to reduce drug demand, dependence, related health and social harms, and supply. The implementation of its long-term objectives draws on more operational documents allowing progressive achievement and mid-term review. Then two consecutive four-year action plans translate the strategic priorities into specific actions with a timetable, responsible parties, indicators and assessment sources. These are drafted by the corresponding EU Presidencies in 2013 and 2017. The first of these was adopted under the Irish Presidency of the EU in June 2013. It is structured around two policy areas: drug demand reduction and drug supply reduction; and three cross-cutting themes: coordination; international cooperation; and information, research, monitoring and evaluation. It includes 16 objectives and 54 actions and it spans across these five pillars. The plan sets a number of Reitox/EMCDDA over-arching indicators to facilitate the measurement of the overall effectiveness of implementation. A second action plan for the period 2017–20 will be prepared following an external mid-term assessment of the EU drugs strategy by 2016. There are a number of significant changes in the EU drugs market which the 2013–20 strategy aims to address. In particular the rapid increase in number of new psychoactive substances becoming available on the market as well as diversification in drug trafficking routes and methods of transport are among the challenges that Member States now face. In particular, the new plan aims at enhancing effective law enforcement coordination and cooperation as well as effective judicial cooperation and legislation within the EU in order to respond effectively to current and emerging trends in illicit drug activity. The strategy also proposes that special attention be paid to communication technologies, which play a significant role in the spread of drugs, particularly new psychoactive substances. It calls for the development of alternatives to traditional law enforcement approaches, which it recognises are increasingly challenged by issues such as the combined use of illicit drugs and alcohol, the misuse of prescription medicines, as well as the so-called ‘legal highs’ phenomenon. For the first time, the 2013–20 strategy incorporates the ‘reduction of the health and social risks and harms caused by drugs’ as a policy objective, alongside the two traditional drug policy aims of reducing supply and demand. The action plan 2013–16 addresses in particular the need to ensure the quality of policy interventions, requiring for instance Member States to agree and commence the implementation of EU minimum quality standards in demand reduction .The role of civil society in the drug policy-making process is also enhanced, with regular dialogues envisaged between the Civil Society Forum and the Horizontal Working Party on Drugs (HDG) of the Council of the European Union. The social reintegration and recovery of all drug users are expected to receive increased attention over the eight-year period as the ultimate goal of drug treatment services. Drug use in prison has also been given increased emphasis, to ensure that the care received by drug users in penal institutions is equivalent to that provided by health services in the community. The new strategy stresses the need for an empirical and evidence-based approach to drugs policy. It expands the main principles on which international drugs policies are based by adding the principle of evidence-based decision-making to the integrated and balanced approach enshrined in the 2009 UN political declaration on drugs. The strategy outlines a model for EU drugs policy that is: integrated, combining all aspects of drugs activities; balanced, concentrating equally on demand and supply reduction measures; and evidence based, drawing on scientific findings. It aims for an improved understanding of the impact of drug policy measures, the adoption of quality standards and best practice in drug demand reduction alongside the implementation of key indicators to measure success in the area of drug supply reduction. The strategy provides Member States with a forum for open debate about the effectiveness of demand reduction measures and, increasingly, supply reduction measures, and explicitly supports drug monitoring and collection of data on best practices. Click on a regional organisation's name to see which countries have adapted their regional plans. Some countries may belong to more than a single organisation. The Africa Union (AU) was established in 2000, on the basis of the dissolved Organisation of African Unity. Its main vision is an integrated, prosperous and peaceful Africa. The Economic Community of West African States (ECOWAS) was established in 1975 with the aim of promoting cooperation and integration with the establishment of a West African economic union as an ultimate goal. Social and cultural matters have been progressively included. Benin, Burkina Faso, Cap Verde, Ivory Coast, Gambia, Ghana, Guinea, Guinea Bissau, Liberia, Mali, Niger, Nigeria, Senegal, Sierra Leone, Togo. The Organisation of American States (OAS) was established in 1948 among the countries of the American continent with the objective of achieving an order of peace and justice, to promote their solidarity, to strengthen their collaboration, and to defend their sovereignty, their territorial integrity and their independence. Antigua and Barbuda, Argentina, Barbados, Belize, Bolivia, Brazil, Canada, Chile, Colombia, Costa Rica, Dominican Republic, Ecuador, El Salvador, Grenada, Guatemala, Guyana, Haiti, Honduras, Jamaica, Mexico, Nicaragua, Panama, Paraguay, Peru, Saint Lucia, Saint Vincent and the Grenadines, Bahamas, St. Kitts & Nevis, Suriname, Trinidad and Tobago, United States of America, Uruguay, Venezuela. The Association of Southeast Asian Nations (ASEAN) was established in 1967 to maintain and enhance peace in the region promoting political security, economic and socio-cultural cooperation. ASEAN has ten Dialogue Partners: Australia, Canada, China, EU, India, Japan, New Zealand, Republic of Korea, Russia and the United States. 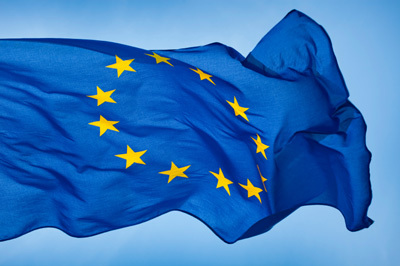 The European Union was established in 1957 as the European Economic Community (EEC). Its main purpose at the time was the economic integration among its members. 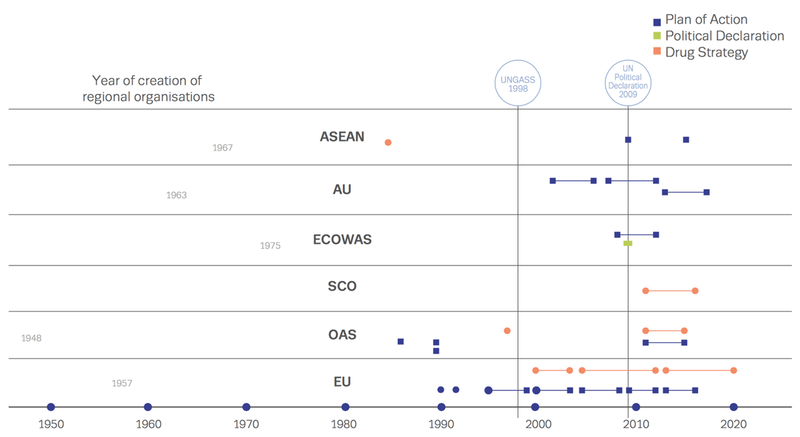 Through the years the EU has evolved in its membership as in its mandate into an organisation spanning all policy areas, from development aid to environment. Austria, Belgium, Bulgaria, Cyprus, the Czech Republic, Denmark, Estonia, Finland, France, Germany, Greece, Hungary, Ireland, Italy, Latvia, Lithuania, Luxembourg, Malta, the Netherlands, Poland, Portugal, Romania, Slovakia, Slovenia, Spain, Sweden, the United Kingdom. The Shanghai Cooperation Organisation is an intergovernmental mutual-security organisation, which was founded in 2001 in Shanghai by China, Kazakhstan, Kyrgyzstan, Russia, Tajikistan and Uzbekistan. Its main goal is make joint efforts to maintain and ensure peace, security and stability in the region, moving towards the establishment of a new, democratic, just and rational political and economic international order. The Andean community (CAN) is a community of countries of the Andean region aiming at pursue a balanced and harmonious development under equitable conditions, through integration and economic and social cooperation. Created in 1969 by the Cartagena agreement, it is composed by four members, Bolivia, Colombia, Equador and Peru, and five associated countries, Chile, Argentina, Brasil, Paraguay y Uruguay. Alongside the European Union bodies, other international organisations have developed regional drug strategies and action plans in recent years. These now cover 147 countries in four continents (see interactive map in panel 2). In the Americas, the Organization of American States (OAS) adopted the Hemispheric Drug Strategy in 2010 and, a year later, a Plan of Action (2011–15) to implement the strategy’s objectives. In parallel, the Andean Community adopted its own drug strategy 2012–19 and action plan 2012–16. In Africa, the African Union (AU) adopted the Plan of Action on drug control (2013–17), while the Economic Community of West African States (ECOWAS) adopted the Regional Action Plan to Address the Growing Problem of Illicit Drug Trafficking, Organised Crime and Drug Abuse 2008–11. In Asia, the Association of Southeast Asian Nations (ASEAN) adopted the Work Plan on Combating Illicit Drug Production, Trafficking, and Use 2009–15, with the aim of achieving a drug-free region. In addition, the Shanghai Cooperation Organisation (SCO) aims to drastically reduce the scale of trafficking in and consumption of drugs and precursors through the Counternarcotic Strategy of the SCO Member States 2011–16. The objectives and content of these strategies reflect differences in drug situations and available resources between the regions where they are to be implemented. There is however also a certain degree of similarity in key policy areas, such as supply reduction, or and a common use of a comprehensive approach to reduce both drugs supply and demand. The increasing number of regional strategies also reflects a growing understanding that drugs are an issue that cannot be tackled only at the national level and that coordinated regional approaches to common problems can be developed.